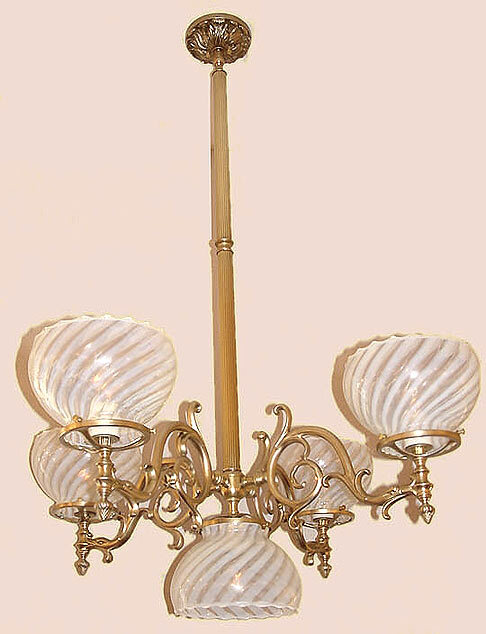 Another lovely, Victorian Dolphin Arm chandelier. An optional added downlight offers more light and style, while the reeded tubing gives this lighting fixture more detail. Also available with smooth tubing if that's your wish. All of our ceiling lights come standard with a Hang Straight below the ceiling plate. This allows rotation even after it's hung and also absorbs shock in case of accidental contact. If you do not want this, please let us know at the time of your order.